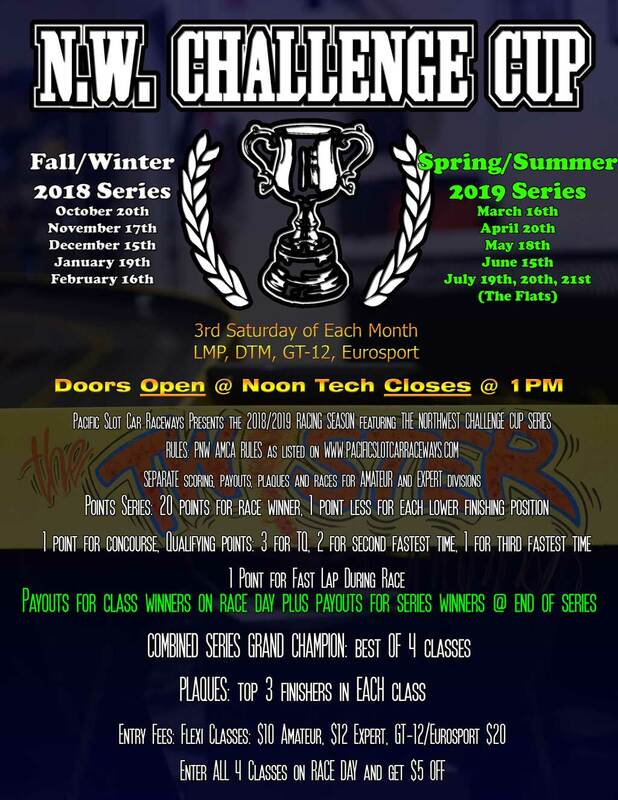 The format and classes have been determined for the 2018 / 2019 Northwest Challenge Cup Points Series. We are adopting parts of the race format from our successful 2011 / 2012 format. Northwest Challenge Cup Winter Scale Racing Series held on the 3rd Saturday of the month. All Races on the Twister. Take Note of the updated class rules in the rulebook. I do not expect any further changes to the rules.